What's The Best Movie Future Car? The future will be an exciting place, according to movies! We'll all be driving around in sleek, hyper-efficient cars that also fly. 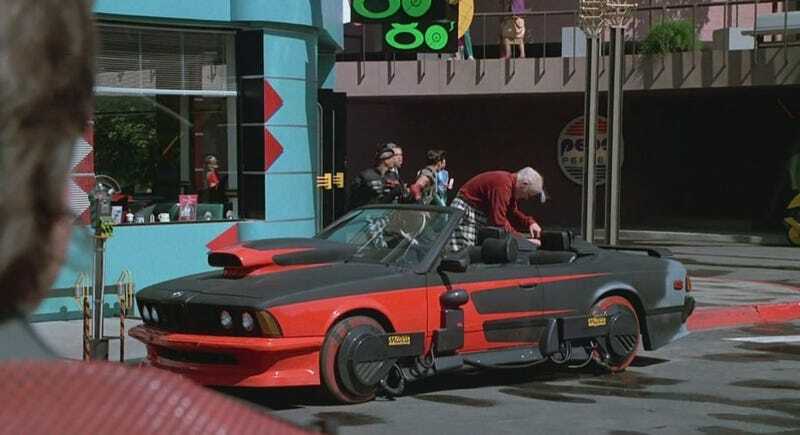 Or they'll be re-bodied 1980s cars, like in Back to the Future II's take on the far-flung futureyear of 2015. Sometimes movies set in the future get cars right, and sometimes they don't. The results are still generally pretty entertaining. That's our question of the day: What's the best future-car from a movie? You know, Griff's BMW looks better than some actual 2015 BMWs do. I'd take that over a 5-Series Gran Turismo. Wouldn't you?